The Junior Peloton ranges from Under 9 years to Under 19 years. As a club we are very excited to be able to provide such a great junior program for our members. The Junior Development Program is open to all junior riders. Programs run for Summer and Winter. Summer focuses on Track, Crits and MTB, Winter focuses on Road, Crits and MTB. 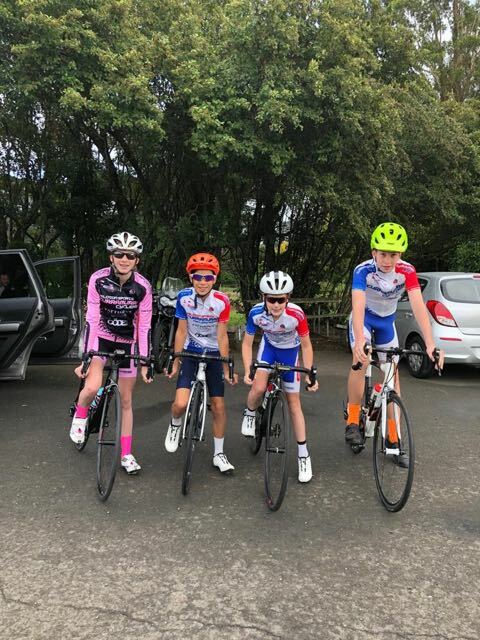 Junior Peloton members will have the benefit of support car on club rides. This allows the Juniors to participate in the Peloton Sports Club rides on Saturday's and Sunday's. Providing them with bunch riding experience, etiquette and improving their fitness but most importantly allows them to build a friendship network of like minded people. Appropriate clothing – it gets very cold and this can ruin your child’s experience. Good quality cycling clothing is essential. Covered shoes or cycling shoes. Young people involved in cycling have a right to participate in a safe and supportive environment. The Canberra Cycling Club expects all Riders, Parents and Spectators to abide by a Code of Behaviour for all junior activities as a basis for fair play and to encourage fun, friends and a safe environment. Never argue with an official. If you disagree, have your coach or manager approach the official during a break or after the competition. Control your temper. Verbal abuse of officials and sledging other riders, deliberately distracting or provoking an opponent are not acceptable or permitted behaviours in any sport. Work equally hard for yourself and/or your team. Your team’s performance will benefit, so will you. Be a good sport. Applaud good performances whether they are made by you, PS riders or fellow competitors. Cooperate with your coach, team-mates and opponents. Without them there would be no competition. Remember that children participate in cycling for their enjoyment, not yours. Encourage children always to participate according to the rules and to settle disagreements without resorting to hostility or violence. Remember that children learn best by example. Appreciate good performances by all participants. Respect officials’ decision and teach children to do likewise.